in Feet Inches- 6’ 7"
Kane was an avid Basketball and Football player in his college days. Fortunately, unlike dozen other wrestlers, Kane did not drop out and completed his degree in English literature. 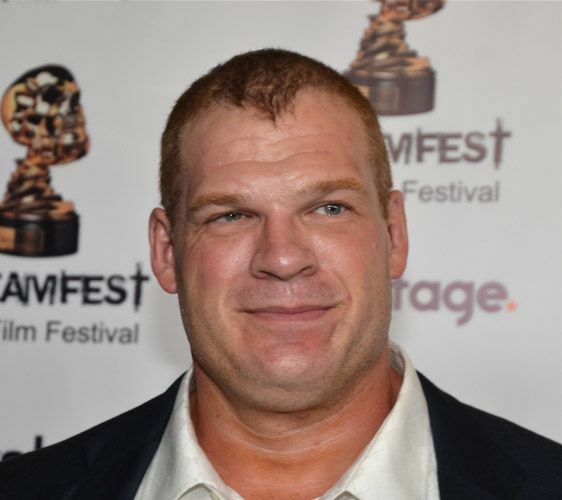 During the initial years of his career, ‘Kane’ wrestled at a number of wrestling promotions. From “Angus King” and “Doomsday” to “Christmas Creature” and “Unabomb”, he willingly accepted whatever role he was asked to play. Slowly and steadily Kane climbed the ladder of success and eventually made it to the WWE (then WWF) in 1995. At WWF, Kane initially adopted the gimmick of Dr. Isaac Yankem, Jerry ‘The King’ Lawler’s private dentist, whom the latter had hired to get rid of Bret Hart. 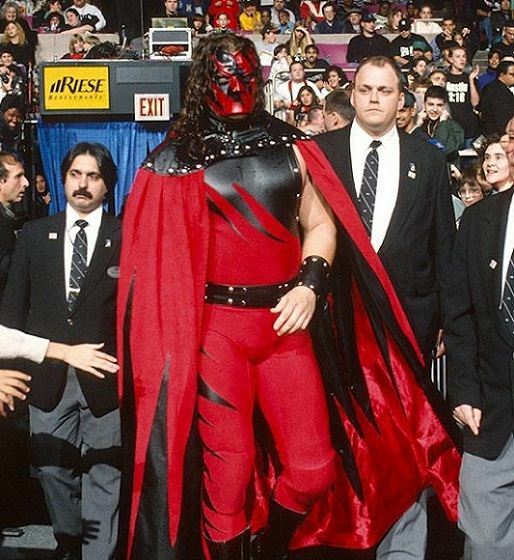 However, the character soon fizzled out and Kane was given the new gimmick- Diesel (Fake). It is a common known fact that Kevin Nash aka Diesel left the company to join WWF’s rival promotion WCW. Thus, with Kane playing the fake Diesel, the company sought its ‘revenge’. The gimmick, however, did not last long and Kane was once again back on the shelf. Jacobs was re-introduced again in 1997 as the long-lost brother of the Undertaker. According to the storyline, the Undertaker had set the family’s house on fire, which resulted in the death of his parents and brother. However, since his “brother” was tough, he somehow survived the fire, but couldn’t prevent his face from getting burnt. The new character wore an intimidating mask and was no less than the Undertaker in terms of strength. This storyline is still considered one of the most iconic stories of the WWE as even after 20 years, the “brothers of destruction” make sporadic appearances and turn up the heat. The storyline did not end there. Since Kane was left traumatized by the fire, he had lost the ability to speak. In the later episodes ‘The Big Red Machine’ would often make use of a voice-box to interact. Kane kept on wrestling with the mask on, leaving the fans ‘dying’ to see the face playing the character. After around 5 years since Kane’s debut, the company started making storylines which would revolve around his mask. Finally, the day came, when Kane entered a match against Triple H with the stipulation that he would remove his mask if he loses. As expected, Kane lost the match and showed his supposed ‘half-burnt’ face to the world. In a weird yet funny angle, Kane once electrocuted Shane McMahons’s testicles. Kane has even acted in 2 WWE studios’ movies namely See No Evil and, of course, its sequel, See No Evil 2. In addition, he was also seen in a few episodes of the renowned TV Sitcom- Smallville. 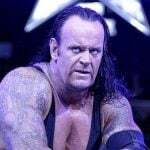 It is believed that Kane was chosen by the Undertaker as the ‘special one’ who would end his winning streak at WrestleMania. 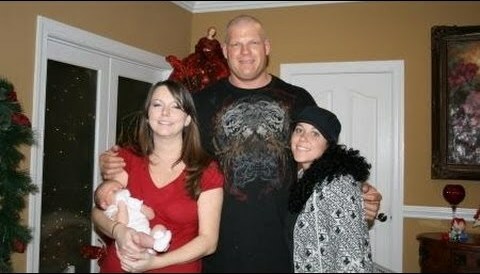 However, Kane, being indebted to Taker for all the fame, declined the offer. In the latter part of his career, Kane, like all other experienced wrestlers, have mainly played his role as a talent-enhancement, which means that he has put young guys over so that the younger talk could establish itself in the Wrestling Industry. His ‘sacrifices’ are corroborated by the fact that in the year 2014, Kane won only 8 matches while losing a mammoth 112 fixtures. 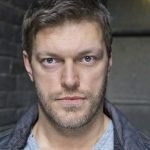 Going by a popular wrestling database website, it is estimated that Jacobs has wrestled in 2500+ matches (including house shows, tapings, and PPV events) since his debut in 1995. No one in the WWE has achieved this feat yet. 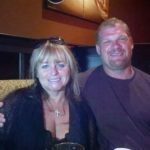 Aside from wrestling, Kane runs an insurance agency, writes blogs and has profound interests in politics and public speaking. And, in 2017, Kane showed his interest in becoming the Mayor of Knox County, Tennessee. On August 2, 2018, he was elected mayor of Knox County, Tennessee. He defeated Democrat Linda Haney as he got 66% of the vote.